Gather forensic evidence like a pro with these kits of basic materials and equipment. Lead your class in a series of crime scene simulations and ensure proper collection and documentation techniques by providing high quality supplies. Each kit offers the convenience of having everything you need in one package. All materials come packaged in a convenient storage and carrying case. Replacement items sold separately. 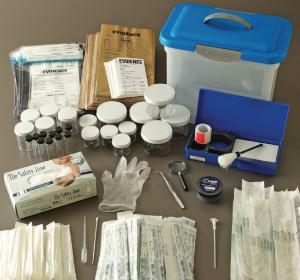 Ideal for introducing the proper techniques for acquiring forensic evidence, this kit offers all the principle materials for processing a crime scene.